^ 1.0 1.1 California Births, 1905 - 1995. Familytreelegends.com. [2010-01-18]. （原始内容存档于2010-01-18）. ^ 2.0 2.1 'Chronicle' the No. 1 movie after a big viral push. Chicago Sun-Times. 2012-02-05 [2012-02-09]. （原始内容存档于2012-02-09）. ^ 3.0 3.1 3.2 Reed, Becky. Q&a: Chronicle Director Josh Trank. DIY. 2012-02-12 [2015-08-10]. （原始内容存档于2016-03-04）. ^ 4.0 4.1 4.2 Fischer, Russ. Watch Josh Trank’s Early ‘Star Wars’ Short Film. /Film. 2014-06-04 [2018-08-01]. ^ 5.0 5.1 Josh Trank. IMDb. [2018-08-01]. （原始内容存档于2017-12-25）. ^ Q&A: Josh Trank, Director Of 'Chronicle' On The Origins of the Film, And More. Starpulse.com. [2012-02-01]. （原始内容存档于2012-02-06）. ^ 7.0 7.1 Gant, Charles. Chronicle makes a new UK box office record. The Guardian. 2012-02-07 [2017-05-24]. （原始内容存档于2018-06-12）. ^ Chronicle's Box office. Box Office Mojo. [2014-03-06]. （原始内容存档于2012-10-25）. ^ Weekend Box Office (February 3 – 5, 2012). Boxofficeguru.com. [2012-02-05]. （原始内容存档于2012-02-05）. ^ Chronicle (2012). Rotten Tomatoes. [2017-05-24]. （原始内容存档于2017-04-05）. 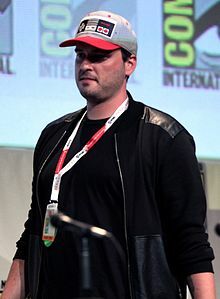 ^ Chronicle's Josh Trank Looks to Spit Some Venom. Los Angeles Times. 2012-03-06 [2012-03-06]. （原始内容存档于2012-03-07）. ^ Fleming, Mike. 'Chronicle' Helmer Josh Trank Lands On 'The Red Star' At Warner Bros. Deadline.com. 2012-03-19 [2014-06-04]. （原始内容存档于2014-03-04）. ^ Chronicle Director to Make Shadow of The Colossus Movie. IGN. 2012-05-23 [2012-05-23]. （原始内容存档于2012-05-25）. ^ Patten, Dominic. Sony Sets Spider-Man Spinoffs 'Venom,' ‘Sinister Six' With New "Franchise Brain Trust". Deadline.com. 2013-12-13 [2013-12-14]. （原始内容存档于2014-10-07）. ^ Kroll, Justin. Andrés Muschietti to Direct 'Shadow of the Colossus' Adaptation for Sony. Variety. 2014-09-04 [2014-09-04]. （原始内容存档于2014-09-08）. ^ Wilding, Josh. Mama Director Andrés Muschietti to Helm Video Game Adaptation Shadow of the Colossus. HeyUGuys. 2014-09-04 [2014-09-04]. （原始内容存档于2014-09-06）. ^ Comic-Con: Fox Sets Reboots Of ‘Fantastic Four’, ‘Daredevil’ (Minus David Slade), Puts Joe Cornish On ‘Rust’. Deadline.com. 2012-07-11 [2012-09-11]. （原始内容存档于2012-09-06）. ^ Comic-Con: Fantastic Four Director Confirmed While Daredevil Director Exits. SuperHeroHype.com. 2012-07-11 [2013-06-23]. （原始内容存档于2013-06-07）. ^ Perry, Spencer. Comic-Con: Fantastic Four Reboot Gets a Writer. SuperHeroHype.com. 2012-07-13 [2013-06-23]. （原始内容存档于2013-05-11）. ^ McClintock, Pamela. Box-Office Preview: 'Fantastic Four' to Lead Jam-Packed Weekend. The Hollywood Reporter. 2015-08-05 [2015-08-06]. （原始内容存档于2015-08-07）. ^ McClintock, Pamela. 'X-Men' Spin-Off 'Deadpool' Gets Winter 2016 Release Date. The Hollywood Reporter. 2014-09-18 [2014-09-18]. （原始内容存档于2014-09-19）. ^ Fantastic Four (2015). Rotten Tomatoes. [2015-08-31]. （原始内容存档于2015-11-09）. ^ Breznican, Anthony. Why did Fantastic Four director Josh Trank slam his own movie? Honesty comes with a high price in Hollywood ... but what is the truth?. Entertainment Weekly. 2015-08-07 [2015-08-07]. （原始内容存档于2015-08-08）. ^ Scott, Ryan. Fantastic Four Actor Says There's a Great Cut We'll Never See. Movieweb. [2017-01-07]. （原始内容存档于2017-01-08）. ^ CS. Razzie Awards 2016 Winners Announced. ComingSoon.net. 2016-02-27 [2016-02-29]. （原始内容存档于2016-02-29）. ^ Graser, Marc. Josh Trank to Direct ‘Star Wars’ Standalone Movie. 2014-06-04 [2018-07-31]. （原始内容存档于2017-06-22）. ^ Inside a 'Star Wars' Firing: 'Fantastic Four' Problems Led to Director Josh Trank's Ouster. [2015-05-03]. （原始内容存档于2015-05-03）. ^ Rottenberg, Josh. Josh Trank sets the story straight on why he left 'Star Wars'. Los Angeles Times. 2015-06-04 [2015-06-05]. （原始内容存档于2015-06-06）. ^ 29.0 29.1 McNary, Dave. AFM: Tom Hardy to Star as Al Capone in ‘Fonzo’. Variety. 2016-10-29 [2017-12-06]. （原始内容存档于2018-04-01）. ^ Tom Hardy Playing Al Capone in Josh Trank's Fonzo. /Film. 2017-06-22 [2017-07-17]. ^ Hoffman, Jordan. Can Elizabeth Banks make 'Pitch' even more 'Perfect'?. The Times of Israel. 2014-01-31 [2015-08-10]. （原始内容存档于2015-12-02）.